+ What inspired you to start Blossoms Syrup? 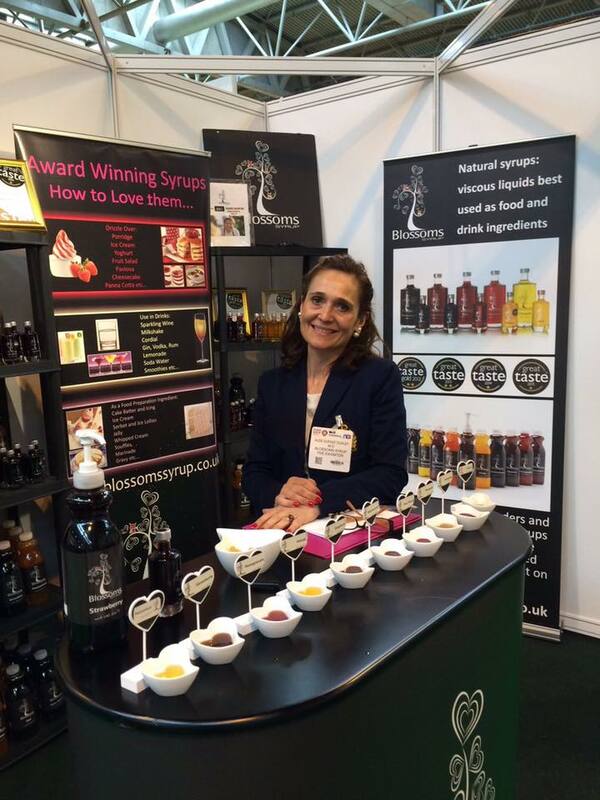 After having my third daughter in 2008, I wanted to be involved in what I love most: eating, drinking cocktails (plenty of exercise too) and I was struggling to find natural syrups in the UK. In France we have “sirops” not cordials. As the journey took me to the best restaurants and bars in the UK, chefs from Michelin star restaurants started to use them for food preparation as well. + How is it different to other similar brands? Blossoms syrups are unique because they are entirely natural and are the World only non-heat treated range. We use only the best raw materials, meaning that we do not need to add colouring, aromas, and preservatives. They have an intense fruitiness, sweetness and natural acidity balance. + What has been the most gratifying thing about setting up the business so far? Inspiring the best bartenders and chefs in the UK, sharing the quality at food festivals, and seeing the consumers falling in love with our products; nobody expects this level of explosive natural fruit flavour. + What’s been the strangest experience about working in the drinks industry? Realising how nice people are and the number of people who are interested in quality ingredients. Why did I wait so long to get involved in this sector that I love it so much?! + Your logo is really cute – where did the design come from? We have two, the fruit tree where our syrups come from, the love heart is my favourite shape (they are everywhere in our house) and you will find three owls representing my three daughters. You will also see their discreet initials: JCT (Juliette, Charlie and Tilly). Made With Love is the second logo, and is about my love of making excellent products and a little wink to my babies! + When are you at your happiest? Spending time with people I love. Life is too short, I wish I could have more time with all of them, we should be more aware of Carpe Diem. A confident woman … knows what she wants and goes after it, knowing that she has to give and take and recognise her own limits.